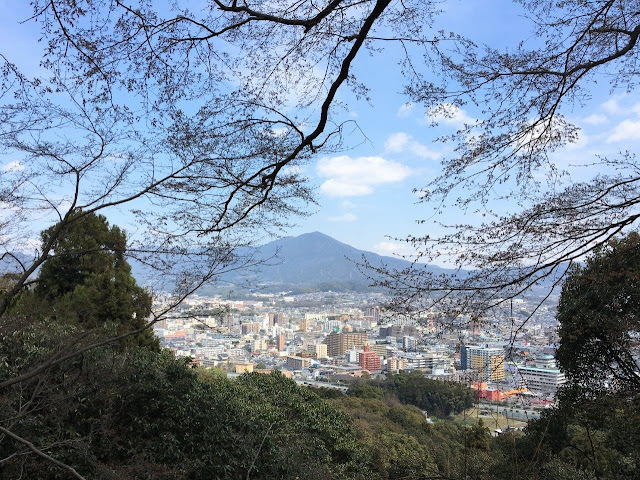 My third visit to Mt. 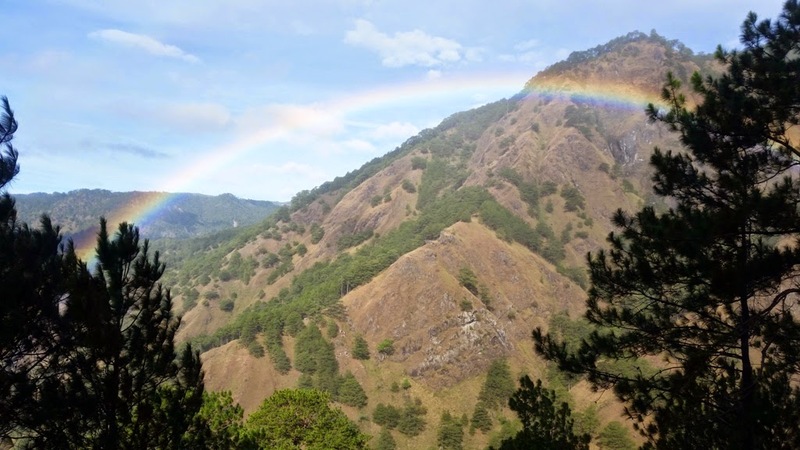 Pulag, Luzon's highest peak and one of the most popular mountain trails in the country had an exciting twist, a day hike traverse! 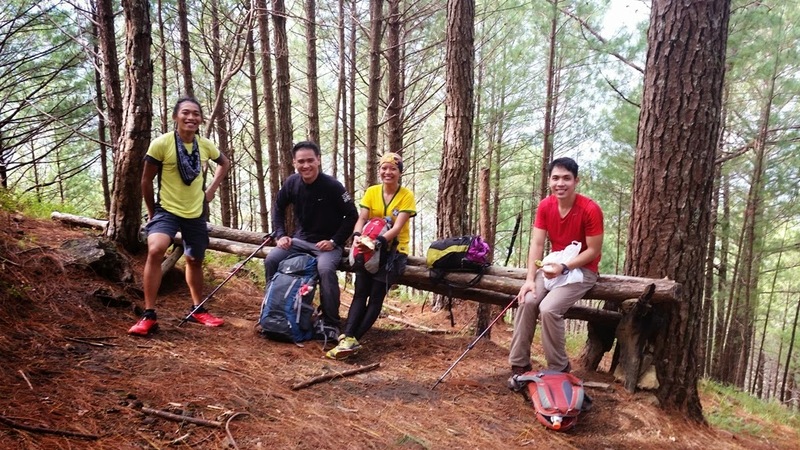 :) Our route to its summit was through Akiki-Ambangeg, a 16 Kilometer trail that is estimated to take around 8 hours on a steady pace, short breaks and with smaller packs. Akiki is known to be notoriously steep while Ambangeg trail with its rolling terrain, is commonly taken by hikers who want to take an easier approach to its summit. 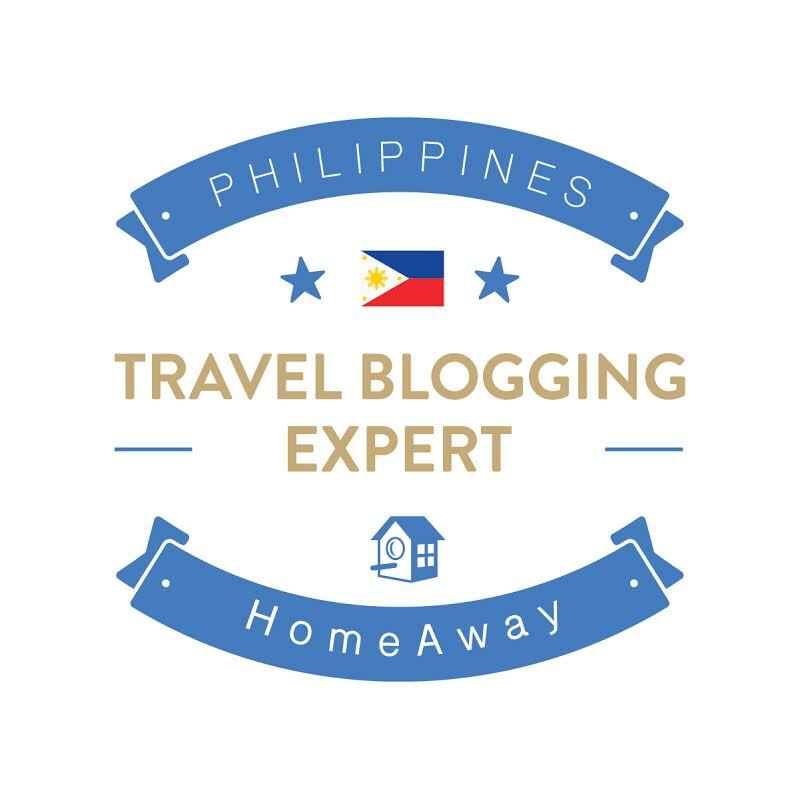 Those who are keen on witnessing the sea clouds during sunrise may opt to spend two nights in the mountains, however, that will entail more planning and a bigger pack on your back. Personally, I prefer extended day hikes (hikes that take more than 5 hours). I find it more enjoyable because you can focus on the scenery without lugging a heavy pack on your back and have more time for side trips once you get down. Here's what I brought for the trip. For lunch, I brought two Energy gels. 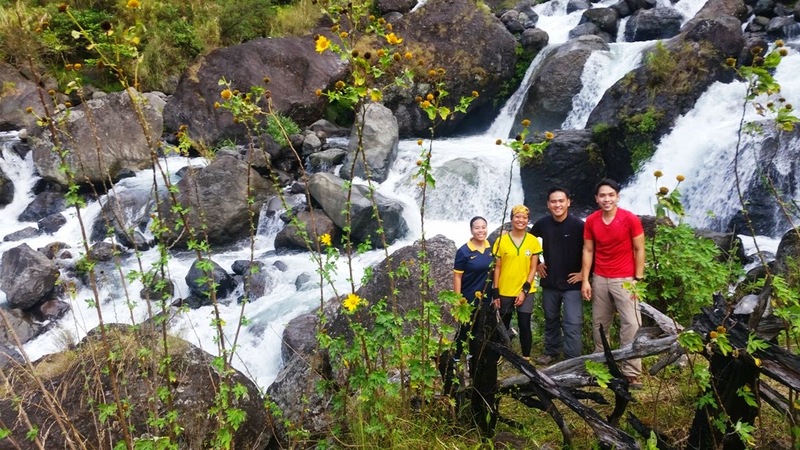 For this adventure, I was happily reunited with hiker friends, Gid of Pinoy Mountaineer, Jenny, Vinci and Koi. :) We convened at Victory Liner terminal in Baguio at 3:00 AM where we boarded a hired jeepney. With almost all sections of the road fixed, we got to the Akiki jump-off in Kabayan in 3 hours. What used to be a bumpy and dusty road has transformed completely and the jeep cruised on a smooth wider road. I barely recognized it from my trip 2 years ago. After enjoying a quick roadside breakfast of tilapia, kangkong, rice and brewed coffee courtesy of Ma’am Gina, we set off to climb the steep cement stairs to the registration area. It was a pain to the lungs; I was breathing obscenely and we're not even on the main trail yet! We started our hike at 7:07 AM. The section before Eddet River, a beautiful raging river where some groups camp, was a nice warm-up for the long hike. The terrain was even and how I wished it was the same the entire way. :P We passed a section with sunflowers growing on both sides and for a while, I forgot how grueling the next few hours would be. After the river came the challenging sections which went on until we arrived at the summit. It’s not technical, just a very long steep trail with some pine needles scattered on the ground which made it slippery. After less than two hours of trekking, we arrived at the area dubbed as Marlboro country. A hilly area with plants and pine trees, it is reminiscent of the views from an old Marlboro commercial. It is the second campsite and has a water source and a stable hut for guides. Next came my favorite part, the mossy forest. Although it is less steep than the Pine trees section, I was still breathless on most parts. I could tell my lungs have not fully recovered from my 4 week battle with chicken pox last month. At this point, my companions were around 20-30 minutes ahead of me but the trail was easy to spot so I didn't mind the solitude. It also enabled me to take photos of trees, although I couldn't take as much as I wanted because it started drizzling and stopping for a break made the cold unbearable. Lunch was a convenient pack of Stinger energy gel which I was able to consume while trekking. I first learned about energy gels from a trail runner friend and it can fuel you for 10 KM of trail at least. 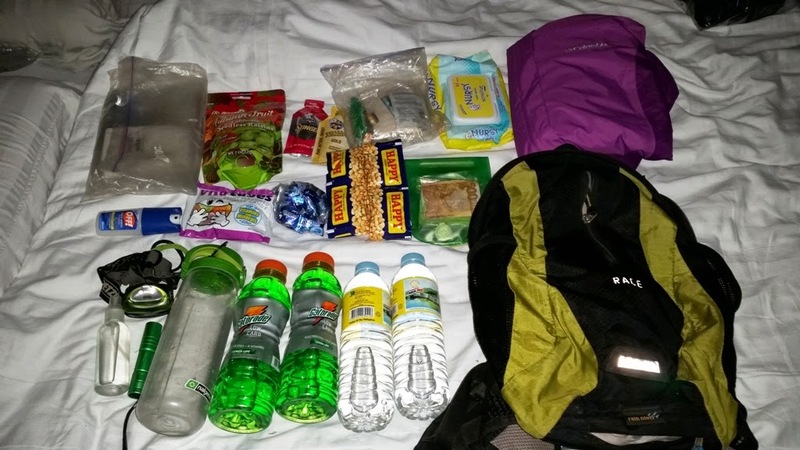 It's also very lightweight and takes very little space in your pack. It costs 75 Pesos a gel which is almost the same price as buying a meal from a fastfood. Emerging from the mossy forest, I was welcomed by chilly winds and light drizzle, making my trek to the saddle camp, very cold. I ran into another cheery group and it felt nice to see their warm smiles as I began to feel miserably cold. After a few more steps, I stopped and marveled at some beautiful wildflowers along the trail. After another half-hour, I rejoined my friends under a hut for guides at the saddle campsite. We snacked and rested before making our way to the summit. At this point, I felt really tired so I just took one slow step at a time. In 20 minutes, I finally reached the summit. At the summit. Photo from Gideon Lasco. By 3:37 PM, we were back to the Babadak Ranger station, the jump-off for those starting at the Ambangeg trail and although we were drenched and feeling very cold, we were all in high spirits. After 8.5 hours in the trail, we were officially done and we feasted on hot Milo and bread from a sari-sari store. We were picked up by our hired jeep across the station. Afterwards, we traveled 30 minutes to Ma'am Gina's place where we washed up and ate our first dinner. And then we had desserts at Hill Station in Baguio. Primary jump-off from Manila to Mt. Pulag is Baguio City. 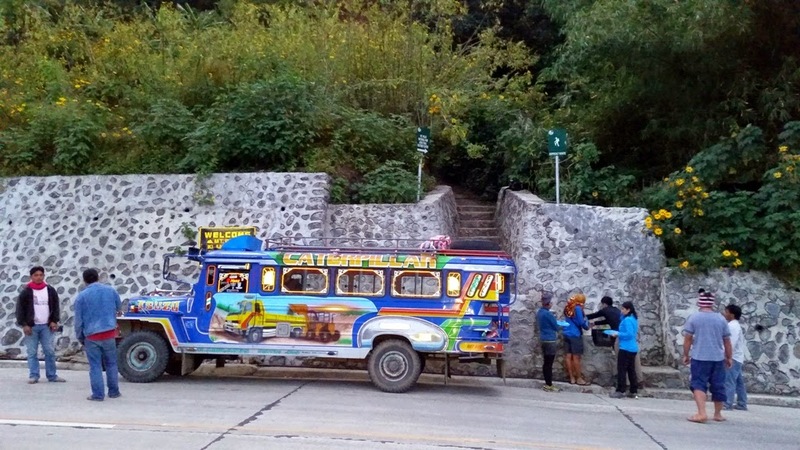 Bus from Manila to Baguio - check Victory Liner for schedules (bus fare : 450 Pesos, one way). Other bus companies with trips to Baguio are Genesis and Dagupan Bus lines. 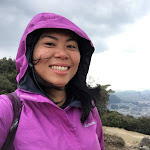 Accommodation in Baguio City - We checked in at Hotel 45 Extension the night before our hike. We got a private fan room for 3 with t&b for 1,400 Pesos (off season rate, booked December 14, 2014). *Note that this is different from Hotel 45 Main which is the first branch and is located along Session Road. Stayed in both, I prefer the extension because it has newer facilities and still near Session road. Jeepney - 8,500 Pesos (good for 18 persons, coordinated thru Ma'am Gina Epe, +63 09198169234 / 09999916008). *For a hassle-free hike, book with Trail Adventours. Visit their site for schedules. 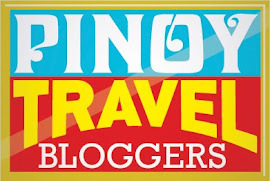 For a 3D 2N itinerary,check out Pinoy Mountaineer. Gideon's account of our hike is also up on his blog under Hiking Matters #441.